When Air or Nitrogen is made to flow through a chamber containing Aluminum Oxide Powder, it sets the particles of Aluminum Oxide in motion. It also separates them and suspends them to a stable level to give the particles the appearance of turbulence quite similar to the state of boiling liquid. fluidised bed is precisely controlled to make it a stable, non toxic, uniform heat source used for calibration. This is what is “FLUIDCAL” Fluidised Bath. 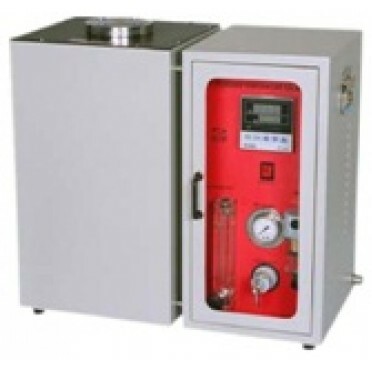 SUITABLE FOR LABORATORY / ON SITE CALIBRATION . Standard Accessories : Instruction Manual / Leather Case / well Inserts of 7, 13, 19 mm Diameter / Tong to remove insert wells. specification. / Any other supply voltage offered. / Master Sensors.